We’ve set the standard once before with Psychotic™?, dominating the pre-workout scene with an impeccable product & pushing the envelope for what the industry standard should be. However, that standard isn’t enough for us, we are aiming for something better; the golden standard. 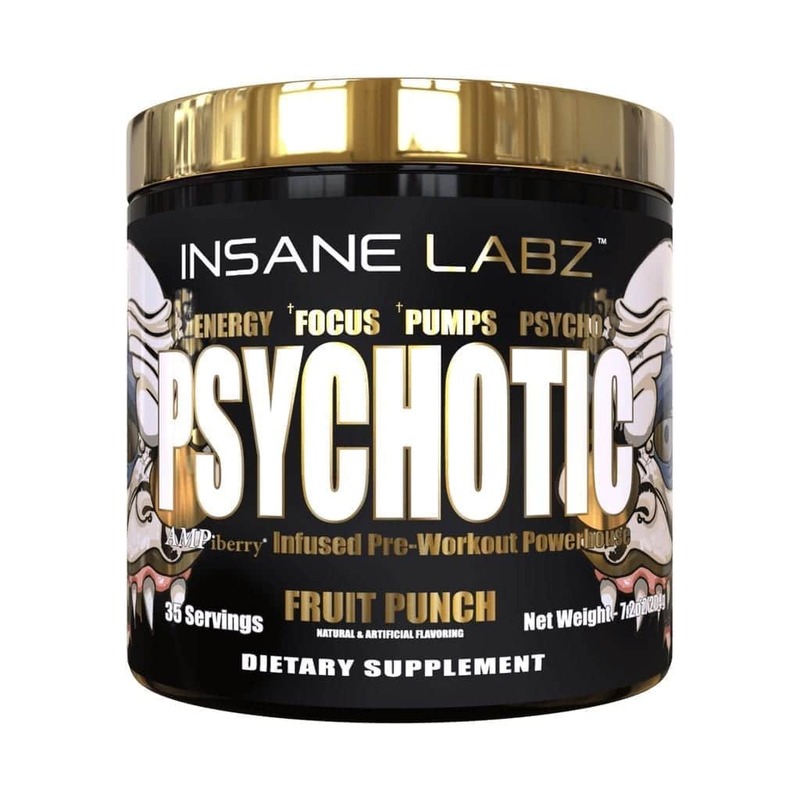 With that being said, we are proud to introduce the newest pre-workout powerhouse hailing from the depths of the asylum, Psychotic Gold™?. This is not only an evolution, it’s everything Psychotic™? is and more. For those searching for the most elite stimulated pre-training powder, look no further. Experience limitless energy & focus as you decimate your PR’s in the gym & feel no bounds from the endurance enhancing formula. 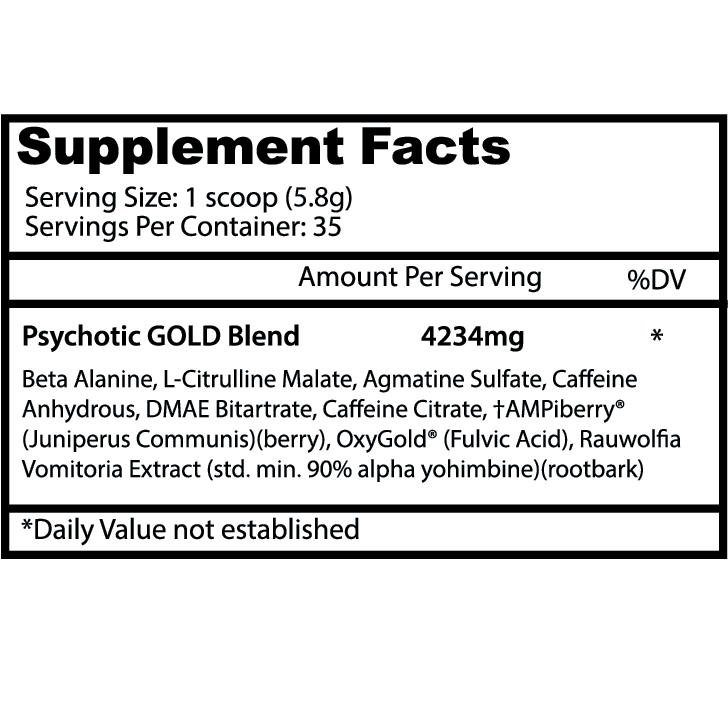 Take on your workouts with the new standard; the Psychotic Gold™? standard.